China on Monday released proposed rules to limit foreign investment in real estate amid quickening efforts to cool off the surging economy, an official news agency said. The government has tried to rein in an investment boom by raising interest rates, tightening lending rules and banning some construction projects outright. Officials worry that excessive spending on assets could ignite inflation or cause financial problems for banks if deeply indebted borrowers default on loans. Under the new rules, foreigners would face "restrictions on residential property purchases," the Xinhua News Agency said, without giving details. It said developers would be required to invest more of their own money in projects to reduce heavy borrowing. The rules are meant to "improve the efficiency of using foreign investment," Xinhua said. It didn't say when they would take effect. A report last month by Dow Jones Newswires said the rules would limit foreigners to buying homes only for their own use, and government approval would be required to sell or transfer properties. China has made several attempts to control frenzied building of factories, luxury apartment and other projects that has turned its cities into forests of construction cranes. 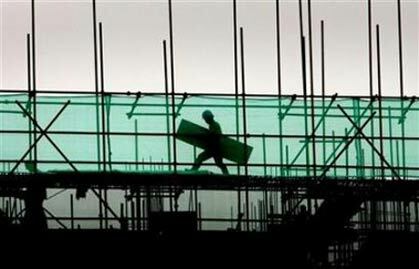 The government said last week that the number of new construction projects jumped by 22.2 percent in the first half of the year, fueling a 11.3 percent rise in economic growth in the second quarter, the highest rate in a decade. Investment from Hong Kong and other sources outside China's mainland has poured into real estate. Foreign investment in Chinese real estate rose 27.9 percent in the first six months of the year, compared with the same period of 2005, Xinhua said. Investors apparently hope to profit from rising prices and an anticipated rise in China's currency, the yuan, which would push up the value of mainland assets in foreign currency terms. The government raised interest rates in April, and economists expect another rise in response to the latest announcement of strong growth figures.